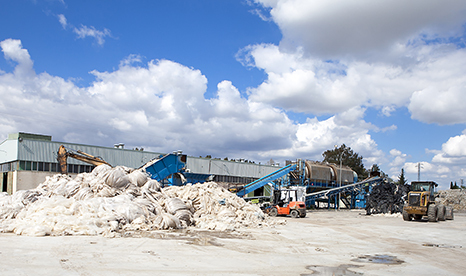 We have a huge industrial site equipped with the very latest in cutting-edge technologies; it boasts a production capacity of 125,000 tonnes per year, making it a pioneer in plastic recycling plants. 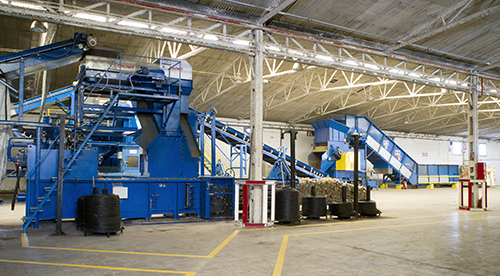 Altogether, we have 85,000 m2 of facilities used exclusively for recycling plastics. These figures are solid evidence of the financial solvency and capacity of our business activity. We have implemented the most advanced optical separation techniques so that our recycled plastics are of the very highest quality. We currently have nine ultra-high-capacity optical separators (2,800 mm). We have a 28,000 m2 plant facility for post-consumer and agricultural film with a production capacity of over 35,000 tonnes per year located in the town of Los Palacios y Villafranca located in the province of Seville.